The Celtic people, who migrated to Irish shores from Central Europe, regarded the seas that surrounded their lands as both mysterious and wonderful. Seals were abundant on the shore. In folklore, seal fairies, or Selkies, were believed to emerge from the sea intermittently and transform themselves into wondrous maidens. Thus seals came to be known as an Irish happiness symbol for ancient Gaelic cultures. The seal’s ability to vanish into the sea seemingly effortlessly was a source of awe to the ancient Irish. It was thought to possess magical powers for it hardly stirred the surface of the water as it disappeared underneath the waves. This Irish happiness symbol gracefully combines its playfulness with diligence. They are confident and swift in the water and imbue a sense of happiness to all who behold them. Among the traits that a seal symbolized were sensitivity, love, peacefulness and compassion. As an Irish happiness symbol, the seal blended these myriad characteristics beautifully and was cherished as a propitious symbol to come into contact with. The sighting of seals was regarded as an auspicious omen for fishermen in coastal areas. 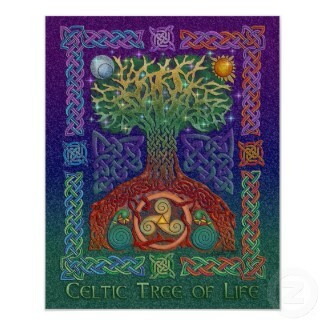 The Celtic culture gave superior credence to nature and animals in their natural habitat. Different animals provided various symbols and signs in ordinary Celtic life. The hare was an Irish symbol of hidden teachings, transformation, intuition and adaptation. The Goddess Andraste had a sacred hare and the hare’s movements were studied for divinatory purposes. The great Celtic Queen, Boadiccea, of the Iceni tribe, whose name means ‘victory’, offered sacrifices to Goddess Andraste and consulted the hare’s actions prior to her last, fateful battle with the Roman conquerors in AD 60. Although not an Irish happiness symbol, the crane was regarded as a keeper of secrets and a reservoir of wisdom. The Celtic people believed the crane to be messengers of the gods and were often consulted by those in search of deeper truths and mysteries. It was associated with the Celtic Sea-God Lir whom the ancient Celts thought made his bag from the skin of a crane. The seal is a perfect Irish happiness symbol owing to its gracefulness and playfulness. An auspicious sign for fishing folk in the Irish coast, the symbol of the seal cemented happiness in ancient Celtic culture.